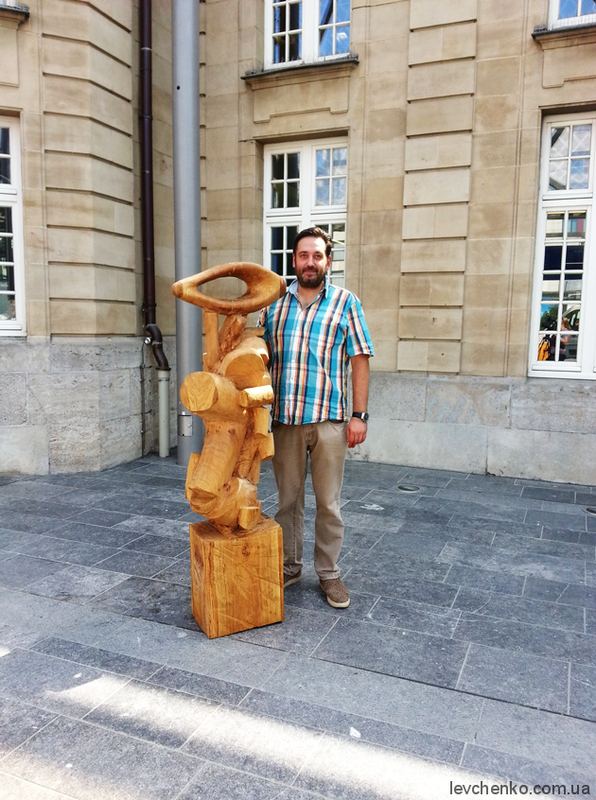 The sculpture is made of wood and presented within the international festival with 25-year history “Gare Art Festival Luxembourg”, which is held in the exhibition hall of the Luxembourg central railway station from July 27 to September 20, 2018. The festival consists of two blocks. 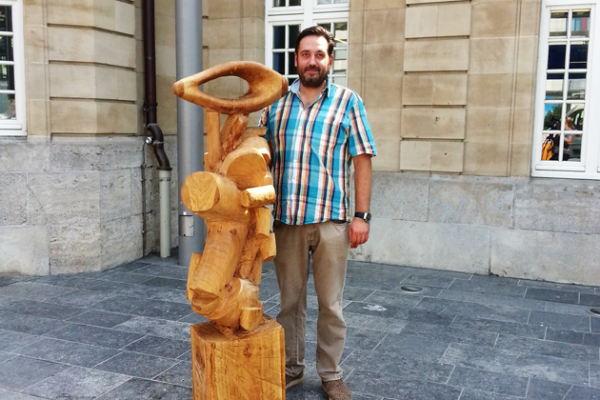 During the first block (27.07-03.08), the sculptors have created and installed their works, and after that, the exhibition has been opened for visitors until 20th of September. The sculptors from Luxembourg, Italy, Palestine, Germany, Japan and Bulgaria have also presented their works. 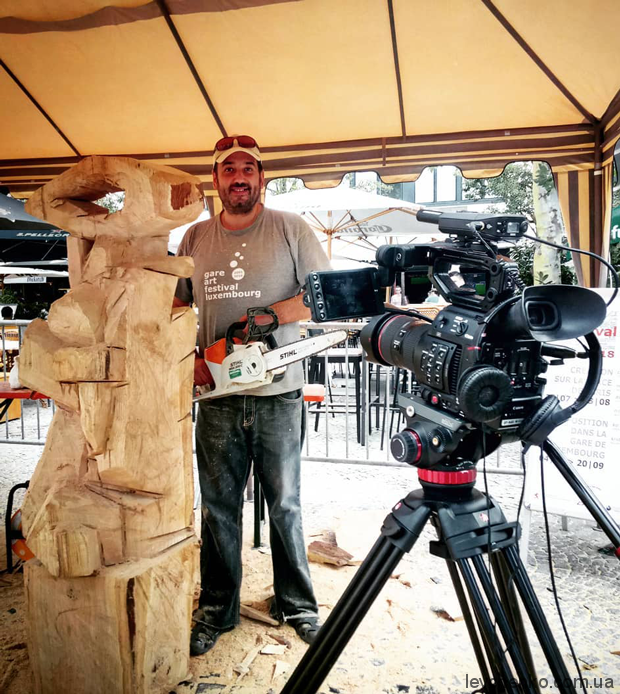 For the past 10 years, Michael regularly represents Ukraine at international art festivals and symposiums all over the world. His sculptures adorn the parks of Cyprus, Argentina, Chile, Italy, Spain, Germany, Norway, France, Israel, the USA, Canada, China, Iran, and Turkey. In addition, Michael has participated in exhibitions in Germany, France, the USA, Italy, and Israel. In 2018, he had the honor to become a member of the jury of the international online sculpture competition and exhibition in New Delhi, India. In February of the same year, ahead of several hundred participants, Michael Levchenko received a prize for his contribution to art – International Art Prize Leonardo da Vinci for artistic merit. The awarding ceremony took place in beautiful Florence. “I’m very proud to receive this important award from Italian critics and curators,” Michael Levchenko shares his impressions. And in June, a 4-meter marble sculpture of the master graced the park located near the City Council of Saint-Georges, Quebec (Canada) and the official page of the city. In Ukraine, the diptych of the authorship of Michael Levchenko, symbolizing the unification of male and female spirits, was presented in the framework of the Art Festival-Fair “ArtWeCan” (Kiev) devoted to the theme of eroticism in art. © 2014 Michael Levchenko Artist. All rights reserved.